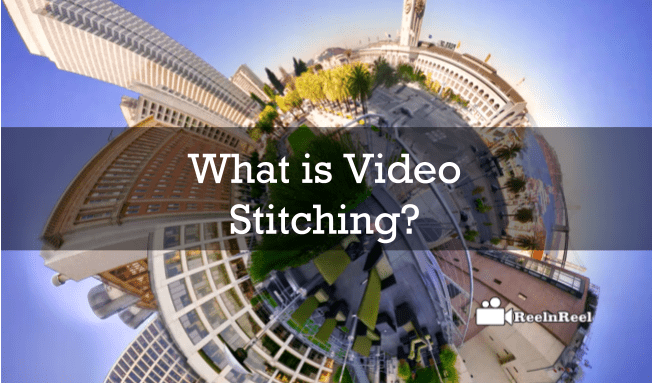 Home » Video Marketing » What is Video Stitching ? What is Video Stitching ? Technology is constantly developing in the online video industry. The introduction of 360-degree videos or virtual reality videos has changed the experience of watching the videos 360-degree video making involves a very crucial part and it is video stitching. This is the process in which various videos are combined with overlapping fields. This is done with software. Video stitching process is not only done for 360-degree videos but various other purposes like videography or surveillance. 360-degree videos are created by using multiple cameras. The individual videos are then turned into a single video by using the stitching technology. Stitching the individual footage is manually is not an easy task. However, there are some cameras that do the stitching automatically to an extent. Kodak offers free stitching software but it is only limited to basics. Video stitching of 360-degree videos can be done online with the software that is mentioned below. • Video stitch and this software are easy to understand and operate. It comes with many interesting features that offer the best possible solution. • Kolor is the most popular stitching software now. The software allows people to combine various videos into a single shot. • SkyStitch creates a combined feed with multiple streams. • Vahana VR is a live stitching solution and comes from Videostich. • 360Designs is another live stitching solution. Video stitching algorithm requires combining multiple video footages to produce panorama video on one screen. This is done with computer software. Here are the steps to create and stitch videos. The first thing to do is to record video footage using different cameras. This is done with several GoPro cameras. Then the several videos are assembled into a single stream. Video stitching technology has many applications such as monitoring civil unrest on streets, live telecasting events such as sports, video surveillance purposes and rescue missions. 360-degree videos are also known as immersive, and these videos show real-world scenery by recording the things in all direction at the same time. Special cameras are needed to create these videos. Few cameras that are available in the market are the Google Jump Odyssey, Facebook Surround 360, Samsung Gear 360 and the Sphericam 2. Several 360-degree cameras are available now in the market. After creating video footages using different cameras and angles, you will have multiple footages which need to be combined and stitched, and finally, this gives you a spherical video. Copy the files from the cameras or SD cards to your computer. Save all of them in a folder by renaming them. For stitching these footages, you will require some software such as Kolar or VideoStitch. To use these software packages, you will need to buy the license. Synchronizing the footage is important before the stitching begins. Programs such as After Effects help you to edit if the synchronisation offered as part of stitching by the software. Stitching is a three-part process, and these steps and these can automate to a large extent. Automated stitching with software is a massive time saver, and it simplifies the process also. Some problems may arise in the course of stitching. If a camera battery dies during the filming, the whole shot requires scrapped. The corrupt footage mismanaged footage; missing shots are the other problems. Though synchronising, matching, correcting and stabilising and stitching videos manually are complex, we have better control over it. The latest stitching software packages, however, come with improved features. Some of these are available in trial versions.